Aggregate is a theme created by ElegantThemes that comes packed with tons of content and widget-ready areas, and manages to display everything in a clear and readable manner. We have also added some handy new widgets, as well as many new advertisement areas. 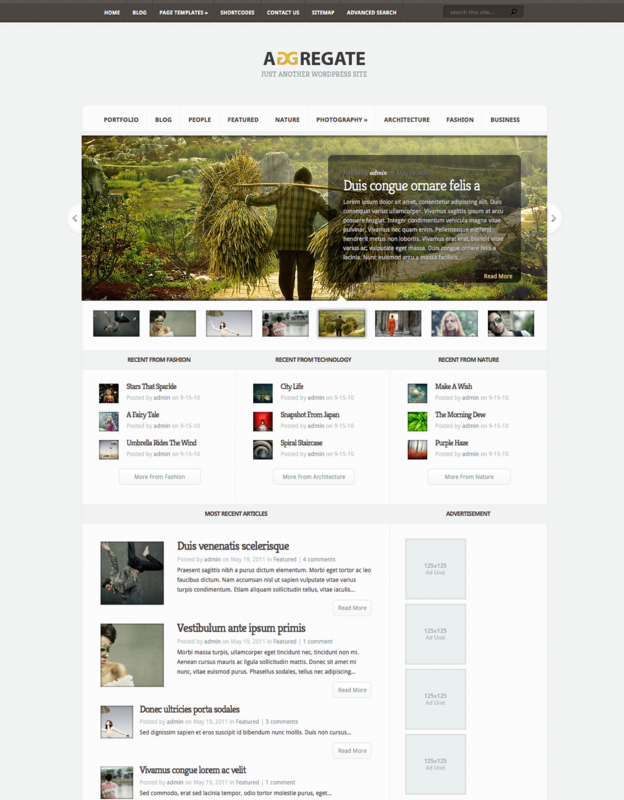 eStore is a Wordpress theme created by ElegantThemes, that provides an elegant solution for those looking to sell products online. The eStore theme is easy to configure, and offers integration options with some of the most popular (and free) ecommerce plugins, including eShop and Simple PayPal Shopping cart. Also, due to the open-ended nature of the design, adding support for additional shopping carts won't cause a headache. If you are ready to bring your business online, then get started today with eStore! 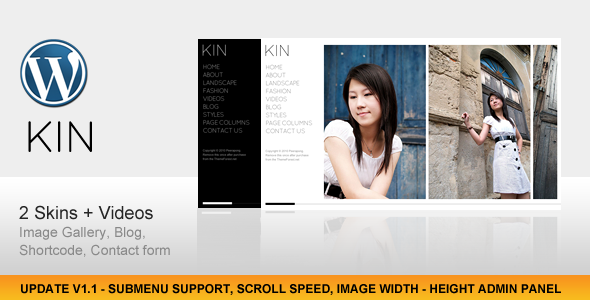 KIN is a minimalist magazine style photography Wordpress Theme created by themeForest. With 2 style variations and support both image gallery and videos. 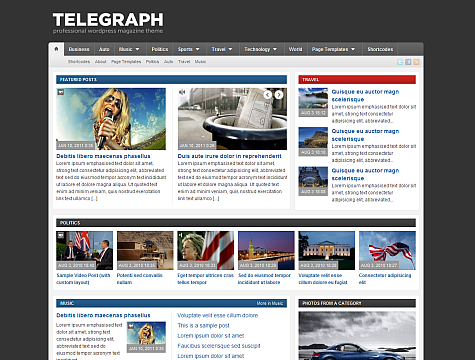 Telegraph is a professional WordPress magazine theme created by WpZoom with a compact layout great for content-rich web-sites. 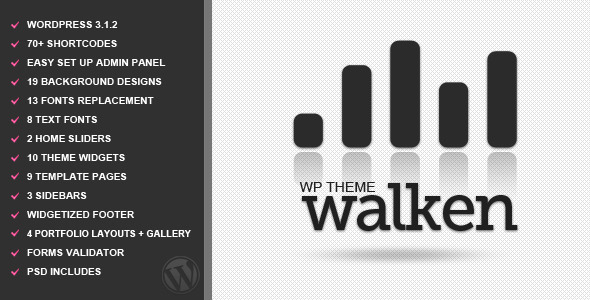 Can be easily customized via Theme Options page. 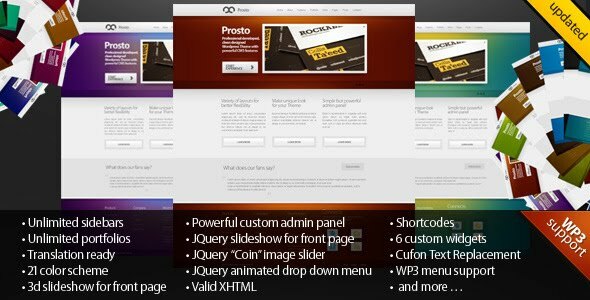 Prosto is a professional developed, clean designed Wordpress Theme by ThemeForest with powerful CMS features, and well suited for personal portfolio, blog, or any kind of business website. Easy to customize with extended admin panel for any kind of users. 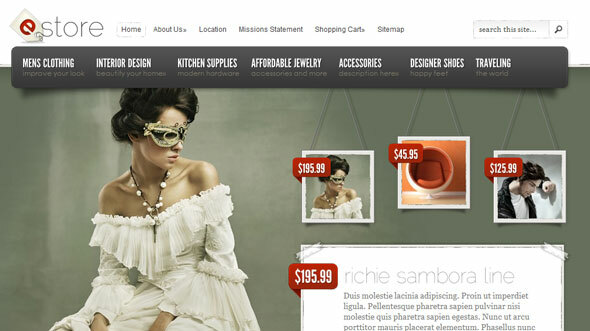 You can simply control your Prosto theme look and content without any special knowledge. Setup layout and choose custom sidebar for each page. Make unlimited portfolios in 3 different layouts that is give you a great flexibility and much more. 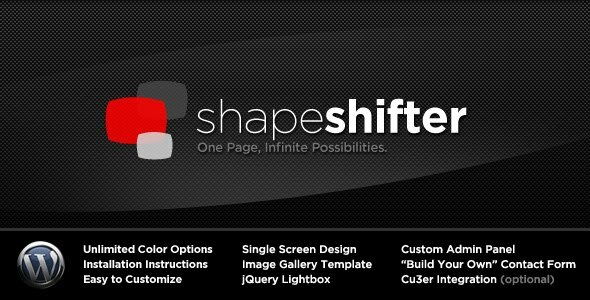 ShapeShifter is a single-page Wordpress theme created by ThemeForest that has been designed to be just about the simplest theme you could possibly use. This theme is lean, mean, and ready for you to install in minutes. 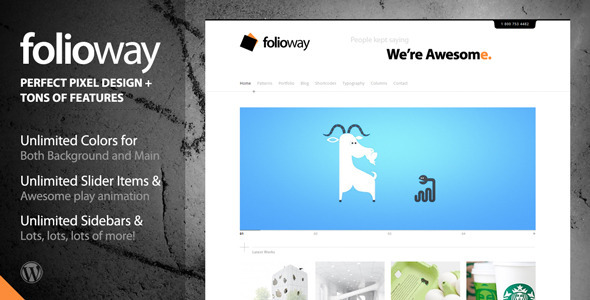 Folioway is a clean and elegant theme created by Themeforest, incredibly powerful and flexible, it’s just the best wordpress theme for your or your company’s work presentation..
Chameleons are known for their ability to change the color of their skin. The patterns and color combinations you find in chameleons are almost endless, and our new theme is no different! 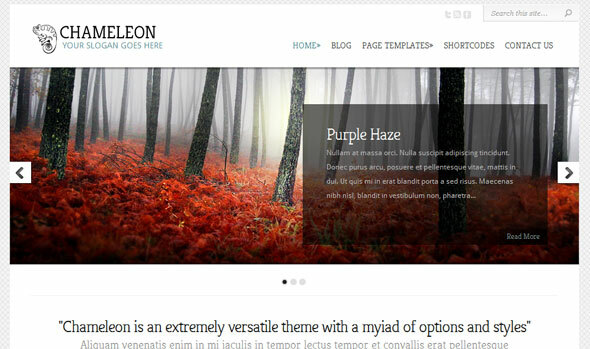 Chameleon was created by ElegantThemes to be a simple and professional theme with loads of customization options that do not require web development experience to utilize. 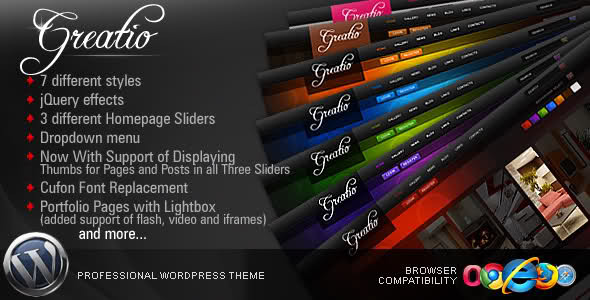 Greatio is a Premium Wordpress Theme created by ThemeForest, best suited for Business, Portfolio, Interior and Architecture sites. It comes with some JQuery scripts which makes it better view. Also 7 color theme available (Red, Violet, Green, Blue, Orange, White and Wood). 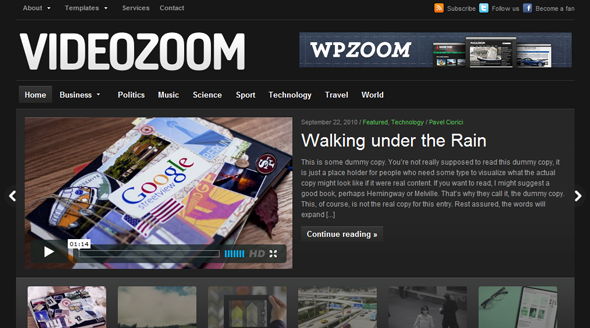 Videozoom is an elegant Video theme created by WpZoom with a neat featured slider, which is ready to play any videos you want to embed into your posts. 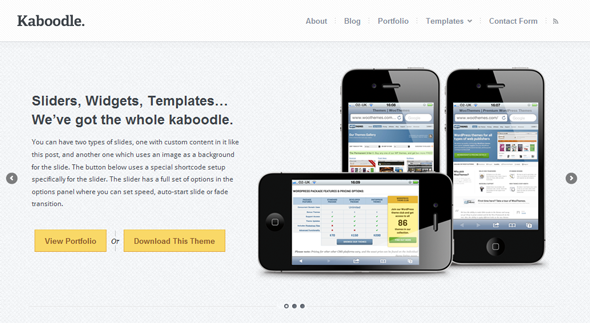 Kaboodle is a trendy, pixel-perfect, customizable business theme created by WooThemes with a clean layout, featured home page slider, and custom post types for testimonials, portfolio items, mini-features and slides. Every new business can do with a spiffy design like this! 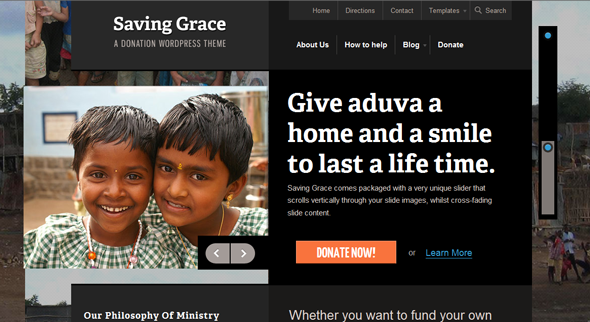 Saving Grace is a theme specifically for charities and non-profit organizations. Designed by Matthew Smith, the theme features stunning typography and attention to detail. Saving Grace also include a donation functionality so you can accept donations through PayPal and let visitors see the progress of donations in the theme. 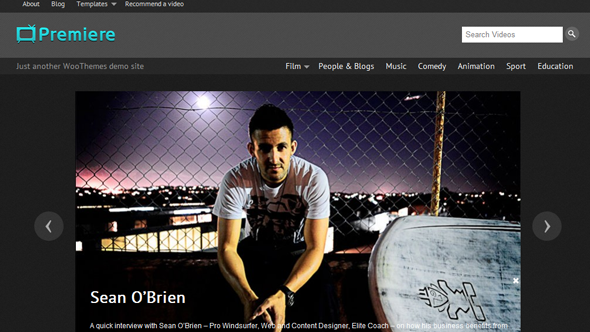 Premiere is a powerful video-based theme created by WooThemes that is custom post driven, separating your video posts from your blog content. With a custom single video page template with great social sharing links, the option for your site visitors to recommend videos and a featured home page slider Premiere theme helps videographers, and movie fans alike – with great custom-ability. 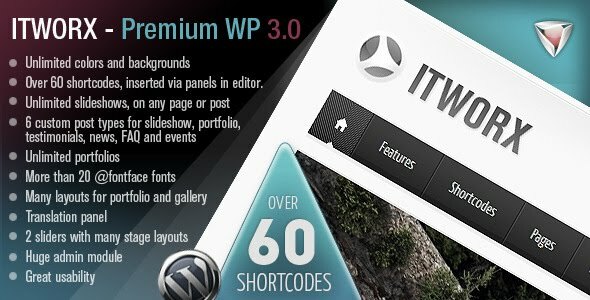 Itworx is a versatile and feature-packed theme created by ThemeForest that can be used for almost any kind of website. -Color pickers so you can make your own color scheme. 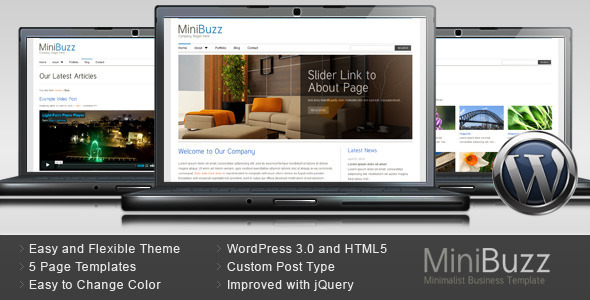 -7 custom widgets to help you make your website more interactive. The widgets are: Duotive Contact form, Duotive Mini gallery, Duotive Slideshow, Duotive Tabs, Duotive Testimonials, Duotive Recent Tweets.